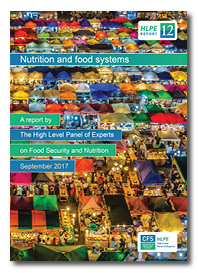 16) Launch of the Report in FAO Headquarters, during CFS44 Plenary (10 October 2017) Read/replay the opening statement from the HLPE Chairperson. See also the CFS 44 Final Report and all session documents for reference. Further information at the CFS 44 webpage.